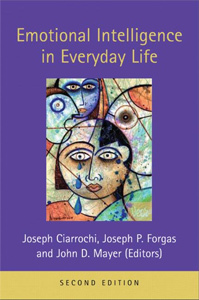 Australia’s Joseph Ciarrochi (chair-ROW-key) is internationally known in the fields of Acceptance and Commitment Training, Emotional Intelligence, and Positive Psychology. His specialty is in helping practitioners (coaches, therapists, consultants, etc) apply the power of these disciplines to their work and to their own lives. With Todd Kashdan, Joe has just published the new, celebrated book, Mindfulness, Acceptance and Positive Psychology. This is his first Master Class for MentorCoach. 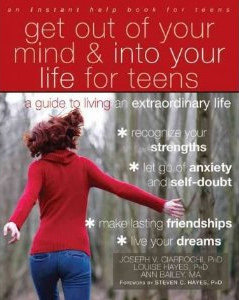 Hear Joe Ciarrochi and co-author Todd Kashdan in a q&a interview about their new book, recorded live 5/17/13 (80 mins). Joe answers questions specifically about this class starting at 71:54. Click here to stream the audio or download an mp3 here. Coaches, teachers, therapists, consultants, business professionals, entrepreneurs, educators, parents, all change agents, and anyone interested in learning practical tools for helping their clients (and themselves) deal flexibly with setbacks and lead a healthy, productive, and fulfilling life. Bright professionals sometimes wonder if there is a key ingredient for living a full and happy life. For decades, scientists and psychologists alike have been studying the strengths and virtues that enable individuals and communities to thrive. The positive psychology movement was founded on the belief that people want to lead meaningful and fulfilling lives, to cultivate what is best within themselves, and to enhance their experiences of love, work and play. At the same time, Acceptance and Commitment Therapy (ACT)–a mindfulness-based, values-oriented behavioral therapy that has many parallels to Buddhism, yet is not religious in any way–has been focused on helping people achieve their greatest human potential as well. Created only years apart, ACT and positive psychology both promote human flourishing, and they often share overlapping themes and applications, particularly when it comes to setting goals, psychological strengths, mindfulness, and the clarification of what matters most–our values and our search for meaning in life. Despite these similarities, however, the two different models are rarely discussed in relation to one another. What if unifying these theories could lead to faster, more profound and enduring improvements in the human condition? This class will show you how to unify the theories in a way that leads to a powerful approach to improving people’s ability to deal flexibly with setbacks and lead a healthy, productive, and fulfilling life. The class will cover several aspects of resilience, including acceptance, mindfulness, perspective taking, helpful beliefs, values and behavioral control. It’s intended to give you a strong grounding in theory and evidence and to provide you with practical tools that you can start using immediately with your clients and yourself. Concrete interventions that you can apply to yourself and to your clients. Joe will both lecture and use experiential components. For the experiential parts, you will be encouraged to use each intervention in your own life, working through the approach in the same way a client might work through it. It is through this “parallel process” that you will come to understand the intervention and how it is likely to work with clients. How to assess and intervene on six components of resilience: acceptance, helpful beliefs, mindfulness, flexible perspective taking, values, and behavioral control. Week 2. Regaining your energy and strength: Acceptance. Week 3. Tipping towards “yes”: the power of mindfulness and willingness to fuel friendship, love, and success. Week 5. The flexible self: Doing more than you think is possible. 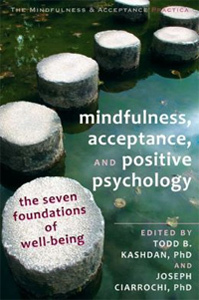 The course entails readings from one primary text-Todd Kashdan and Joe Ciarrochi’s Mindfulness, Acceptance, and Positive Psychology: The Seven Foundations of Well-Being. (April 2013, Context Press). In addition, each week Joe will post relevant research articles, videos, and blog entries for the next week on the class’ password-protected website. There will be a password-protected class web site that will be your home on the web for this class. In advance of each session, we’ll post Joe’s power points for the next class in multiple formats. We’ll also post Joseph’s special lecture notes, relevant articles, videos and blog entries. And after each session, you’ll be able to listen online or to download a digital recording of that class to your computer and MP3 player (eg your iPod). Thus, when you have a conflict with a particular class, you’ll have the recording, PowerPoints, and reading and you won’t miss a thing. For the Authentic Happiness Coaching™ Program, some students had ongoing conflicts and listened to the entire class by recording. We anticipate that a number of Joseph’s students in this class–for example, those living in Western Europe-may decide to experience the class entirely by recording, still emailing in questions to Joseph between classes. There are no prerequisites. This class is open to all. Dr. Joseph V. Ciarrochi (chair-ROW-key) is Professor of Psychology at the University of Western Sydney and an active researcher with numerous national competitive grants. His research and workshops focuses on understanding and developing resilience, the individual characteristics that help people to deal flexibly with setbacks and lead a healthy, productive, and fulfilling life. Joe has published 80 scientific papers and many books, and book chapters and is regularly invited to speak at conferences and leading universities around the world. He has been honored with over a million dollars in research funding and a prestigious Future Fellowship. His work has been discussed in magazines, newspaper articles, and radio. 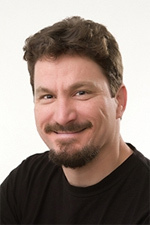 Joe is a talented and inspiring teacher and trainer whose excellent sense of humor ensures that his presentations are not only practical but also fun. 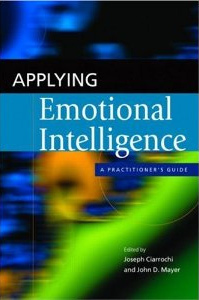 His books and papers on emotional intelligence (EI) are among the most highly cited works in the EI area. 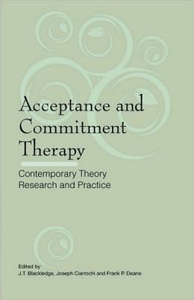 He is also a leader in the area of Acceptance and Commitment Therapy. With our own Todd Kashdan, Joe has just published the widely celebrated book, Mindfulness, Acceptance, and Positive Psychology: the Seven Foundations of Well-Being. 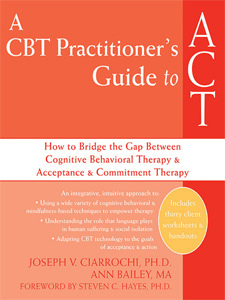 His books have been published in six languages and include A CBT practitioner’s Guide to ACT: How to Bridge the Gap Between Cognitive Behavioral Therapy and Acceptance and Commitment Therapy; Get Out of Your Mind and Into Your Life for Teens–A Guide to Living an Extraordinary Life; Applying Emotional Intelligence: A Practitioner’s Guide; Emotional intelligence in Everyday life: A Scientific Inquiry; and Character: Social and Emotional Well-Being. Next year, Penguin will publish Joe’s latest book, The Weight Escape. Joe has been heavily involved in the development of mindfulness-based protocols that promote social, emotional, and physical well-being. He is also the chief editor of the Journal for Contextual Behavioural Science–a journal that provides a bridge between basic and applied researchers and helps practitioners in all areas to improve their intervention skills. And he is the president of the Association for Contextual Behavioral Science, a worldwide online learning and research community devoted to improving the human condition.